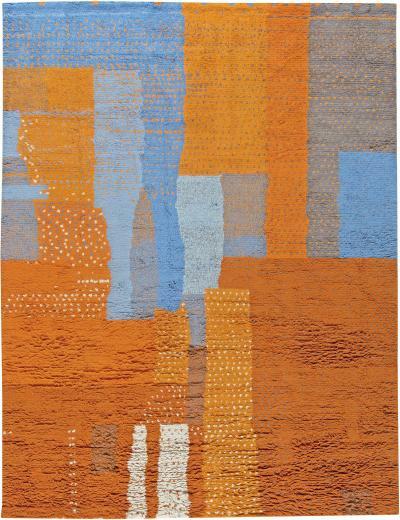 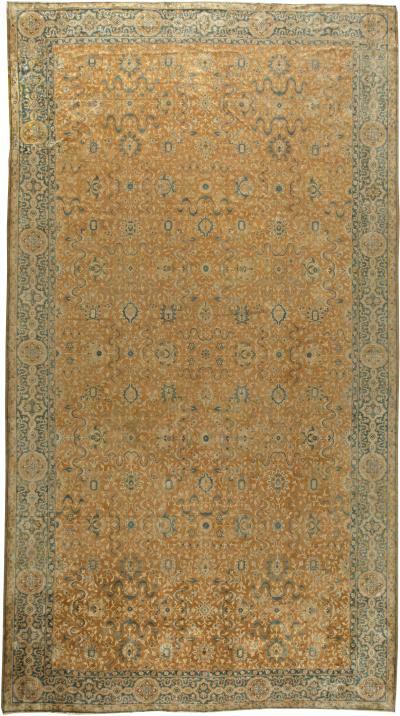 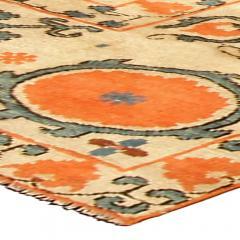 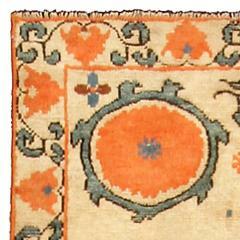 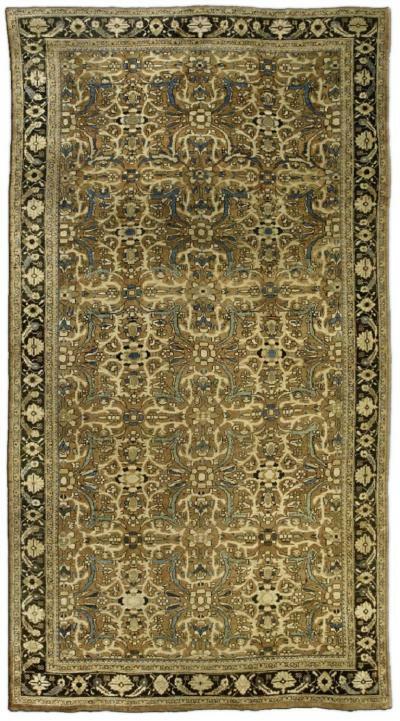 Description A late 19th century Samarkand (Khotan) antique rug, having a light camel field with three orange enlarged abstract flowerheads issuing delicate leafy floral vinery within a border with geometric angular racemes and similar enlarged orange flowerheads. 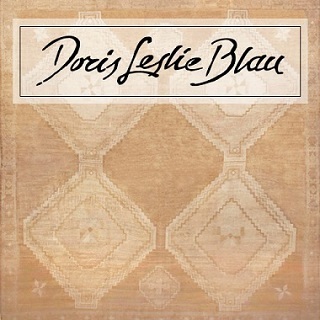 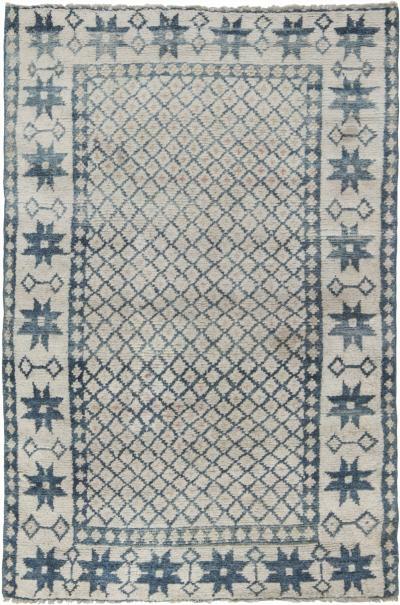 Antique Indian Cotton Agra Rug. 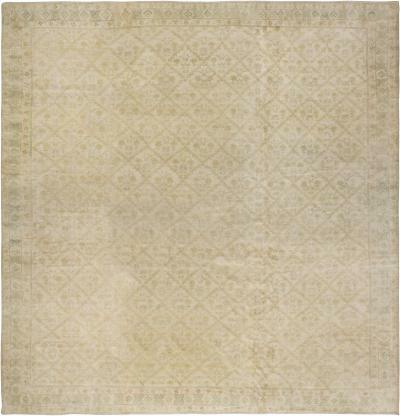 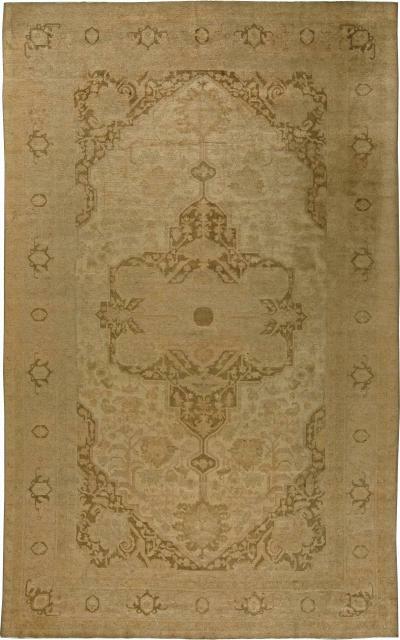 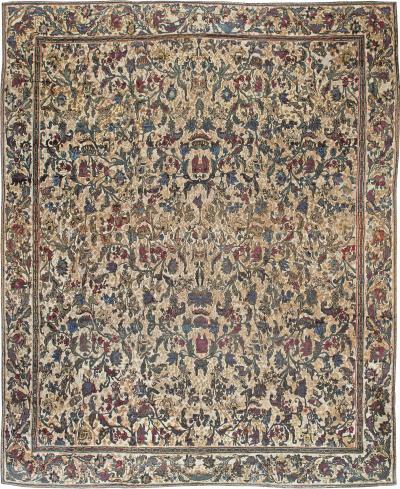 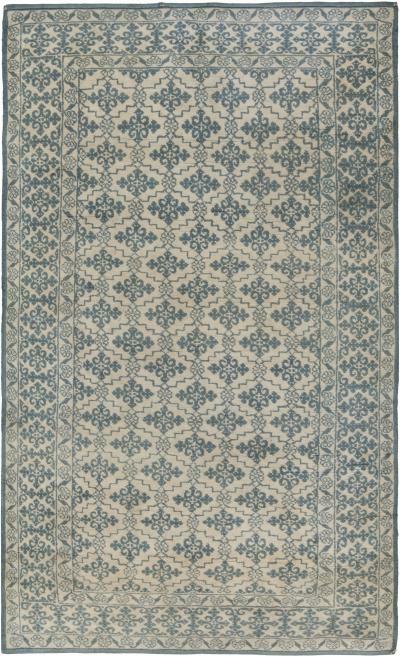 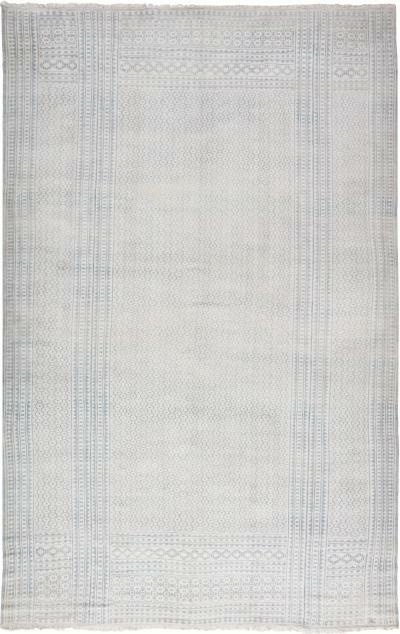 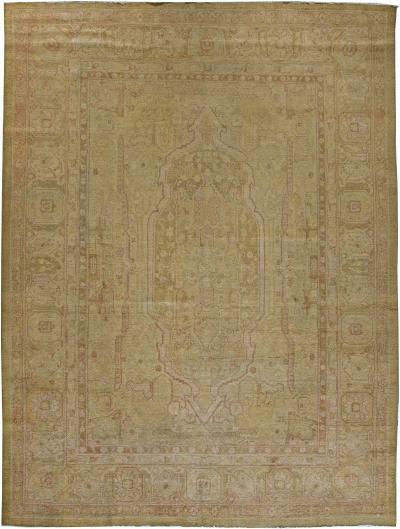 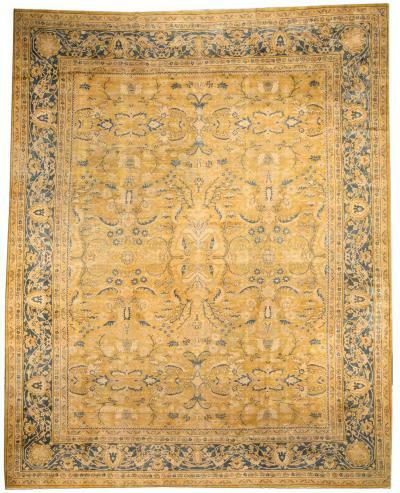 Antique Indiann Cotton Agra Rug.